Detroit Monitor Sports: Who Would You Add? As the NFL off-season hits it's stride and we're into free agency, and the 2017 Draft takes place in April, I've decided to examine a few players which could play this year. 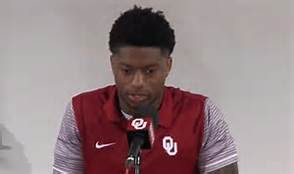 The three that standout are Oklahoma Running Back Joe Mixon, former San Francisco 49'ers QB Colin Kaepernick and former Cleveland Browns QB Johnny Manziel. Each player has an interesting story but the big question that executives will have to ponder this spring--- Are these players more trouble than they're worth? Let's start off with Mixon. He's the most intriguing player of the group. The 20-year old has served a one-year suspension from Oklahoma for a domestic violence incident back in 2014. Because of this, the NFL didn't invite Mixon to the Scouting Combine as a result of his off the field behavior. Mixon is a dual threat running back. In 2016, he rushed for 1,274 yards on 187 carries and 10 touchdowns. He added five receiving touchdowns. In 2015, Mixon had 113 carries for 753 yards, seven touchdowns and four receiving touchdowns. There is no question the kid can play. A fan recently asked me that if I were an NFL executive, would I draft Mixon? Let's put it this way, I'm a firm believer in second chances. There is no question that I don't tolerate domestic violence. Let me repeat, I don't tolerate domestic violence and there is no place for it in society! With that said, Mixon paid the price for his mistake and served a one-year suspension from Oklahoma for his actions. He's been punished for his behavior. He does deserve a chance for an opportunity to play in the NFL but there must be stipulations in his contract! First, he must go to therapy for domestic violence. Second, there should be a clause inserted into his contract that if there is one mishap, his employment should be terminated. Let Mixon know there is Zero Tolerance for his actions. Finally, the contract should be constructed as a small base salary with incentives. This same fan asked me if the Detroit Lions should draft him? From what I've heard, Mixon is a first round talent that doesn't figure to slip past the third round during the second day of the draft. Somebody will take this kid and he could be a steal if he avoids any off the field incidents. The Detroit Lions have had good success with running backs that have Oklahoma ties. The Lions drafted former Heisman Trophy Winner Steve Owens in the 1970 Draft. He played five seasons and appeared in one Pro Bowl before a knee injury ended his career. In 1980, the Lions went back to Oklahoma and selected Billy Sims with the No.1 overall pick and Sims also played five seasons, amassed 5,106 yards, 42 rushing and five receiving touchdowns along with three Pro Bowls. Once again, a knee injury ended the career of a Lions running back. Then there was Barry Sanders. He was drafted in 1989 from Oklahoma State University. All Barry did was get elected to the Pro Football Hall of Fame in 2004. Sanders rushed for 15,269 yards, had 99 touchdowns, 2,921 receiving yards and another 10 touchdowns. He was in 10 Pro Bowls. What else do I need to say except that the state of Oklahoma has been kind to the Lions with running backs. Somebody asked me why former Baltimore Ravens running back Ray Rice didn't get a second chance after his domestic violence incident? The answer to that is the incident occurred later in his career and he was on the downside since many running backs break down into their 30's. If he had more production in him, he could have gotten a second chance. In fact, Detroit Lions Coach Jim Caldwell didn't bring Rice to town. Caldwell was a former Baltimore Ravens coach. You could say that Rice was black-balled for his actions and the bad publicity the NFL received didn't help his case. So there you have it with Mixon. I'll be curious as to where he winds up and earlier this week, there were 12 teams that wanted to meet with Mixon. You can rest assure that every President, General Manager and Coach will do their homework. They'll have to get their owner's approval to sign off on adding Mixon knowing what the potential backlash could be from the advertisers and fans due to his checkered past. The Minnesota Vikings had to deal with this when star Running Back Adrian Peterson went through similar issues. The other two players are easier to breakdown. Last year he decided to protest and not stand up for the National Anthem because of moral issues. That's all well and good, but now he's decided that he's made his point and will stand up in 2017. The only point that Kaepernick, 29, has made is that he's an unrestricted free agent and he's looking for work. Bringing in this guy would be like having the circus come to town and there would be publicity for all the wrong reasons. No team needs to have a soap opera. According to TheScore.com, they said that the teams who should look at him are the Cleveland Browns, New York Jets and the Chicago Bears. First of all, since Jim Harbaugh left San Francisco for Michigan, Kaepernick's play has steadily declined. Aside from one Super Bowl Appearance, he's struggled on the field. I'll give Kaepernick this much, the 49'ers are on their third coach in three years excluding Harbaugh. Jim Tomsula followed Harbaugh, then came Chip Kelly and now Kyle Shanahan. It's hard for any quarterback to go through that much lack of stability. I've seen this drill too many times over the years. Kaepernick does have a good arm and is extremely mobile. His on the field numbers are good. In six years, he's thrown for 12,271 yards, 72 touchdowns, 30 interceptions and has rushed for another 2,300 yards. In Cleveland, I don't see Browns Head Coach Hue Jackson adding Kaepernick. He won't tolerate the baggage that he brings and shipped out Manziel very quickly. Anything is possible with the New York Jets and the Chicago Bears just signed former Tampa Bay Buccaneers QB Mike Glennon to replace Jay Cutler. I don't see this happening. The bottom line is I don't think there will be any rush to sign Kaepernick until after the draft or if another signal caller gets hurt. It's amazing how looking for a job changes ones outlook on how a person moves forward. I've never seen a guy that has generated so much publicity for such a short period of time for all the wrong reasons. Aside from his 2012 Heisman Trophy from Texas A&M, this guy is a BUST if I've ever seen one. He's played in 15 NFL Games and has thrown for 1,675 yards, seven touchdown and seven interceptions. He's got a domestic violence act on his rap sheet. He gets more publicity for his partying and alcohol than his performance. Maziel's immaturity became an issue in college then followed him to the NFL. There were arrests plus other run ins with the law. I don't care if the guy was recently engaged. Until he grows up, I can't see too many teams taking a chance on him. Manziel, 24, does have mobility and is an excellent scrambler. He has a pro arm and looks like a gunslinger. Heck, if Dallas Cowboys Owner Jerry Jones is going to give another domestic violence offender Greg Hardy another chance, perhaps I could see him bring in Manziel. Hardy blew his latest chance with the Cowboys and is out of the NFL. But there are a lot of people that need to see that Manziel needs to get his life in order. Event his agents have gotten rid of him. I feel so strongly about this that I doubt the Canadian Football League with it's wider and longer field would touch him. Yes, Manziel would sell tickets, but is he more trouble than he's worth? The only thing that Manziel has going for him is that teams are desperately looking to find a good quarterback. But I'm not holding my breath with Johnny Football. If I were a betting man, of these three players that I spoke about, I would go with Joe Mixon. But I'm not a betting man.